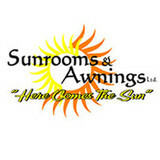 Sunrooms and Awnings Ltd. is proud to be the Central Alberta dealer for three Outstanding Canadian made products. All three of our products have been engineered to withstand the Canadian climate and have made a great impression on the National market. Sunspace Modular Sunrooms are built to your specifications and have 50 years experience in the construction industry in Canada. DKS Contracting Ltd. Is a family owned and operated business which offers complete custom decks, fencing, landscaping and home renovations! We strive on quality. We offer red seal tradesman and women to complete your dreams! 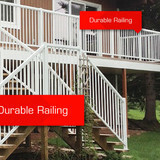 Canpro offers component/welded aluminum railing systems and vinyl decking products for commercial and residential customers throughout North America. We have six aluminum railing colors that make us very unique in the industry. As well, we are an exclusive Deksmart dealer in Lethbridge and Red Deer. Our company structure allows us to facilitate jobs in an efficient, organized and timely manner. With highly professional and knowledgeable staff Canpro will deliver quality aluminum railing and vinyl products and ensure proper installation procedures. We carry higher quality, responsibly sourced products and staff our locations with friendly knowledgeable craft/trades people that don’t work on commission or quotas. Our staff are trained to help our customers with every step of their projects — big or small! From the moment you enter the store, to helping carry out your bundles, answering any questions you have and finding the right product that fits your needs — we are the experts you need to know! Central Alberta’s roofing and decking experts, offering a full range of weatherproofing services, as well as commercial and residential roofing services, vinyl deck installation and aluminum railing installation for your home or business. We do decks, railing and interior finishing. When the temperature heats up in Lacombe, there’s nothing like having a deck or patio to kick back on and enjoy the warm weather. A functional deck design and patio layout is dependent on meeting your specific needs, so it's a space that needs to be created carefully. Luckily, there are professionals to handle your deck installation or patio design — hiring a Lacombe, AB deck and patio builder is your surefire ticket to creating an outdoor oasis! What services do deck and patio builders in Lacombe, AB provide? To help you choose the ideal style, configuration and materials for your deck or patio, your deck and patio contractor will survey your Lacombe, AB lot and your home to come up with a design that complements your exterior as well as being structurally sound. He or she will recommend sizes, heights and construction materials that suit your lifestyle and climate, as well as explain the best stain or finish options. Additionally, deck and patio professionals can provide insight into additional components such as outdoor kitchens, patio covers, fire pits, outdoor lighting, arbors and more. Your deck and patio professional might work closely with another Lacombe, AB lawn and landscape professional. Here are some related professionals and vendors to complement the work of decks, patios & outdoor enclosures: Landscape Architects & Landscape Designers, Garden & Landscape Supplies, Stone, Pavers & Concrete, Landscape Contractors, Building Supplies. Find a deck and patio builder in Lacombe, AB on Houzz.